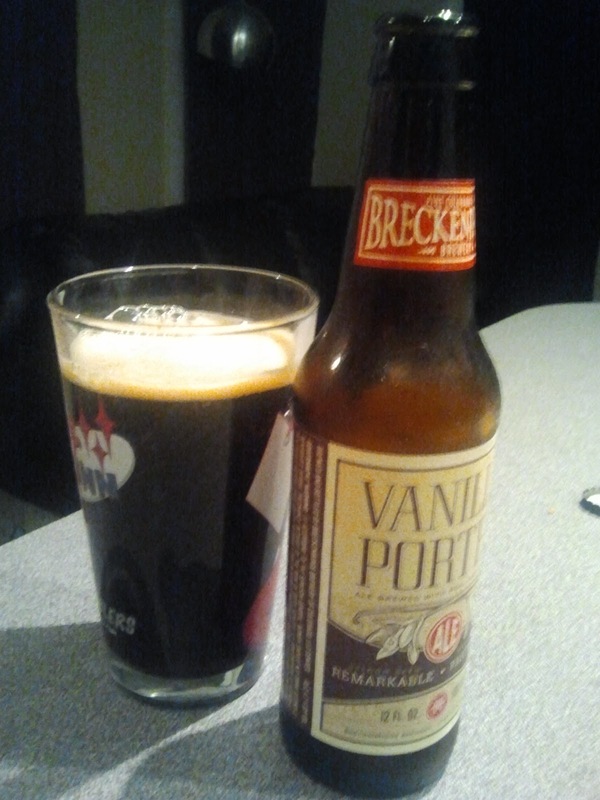 Today's review covers one of my favorite beers for casual drinking, the legendary Breckenridge Vanilla Porter. It's available year-round, is reasonably priced in a six-pack, and has the perfect balance of flavors for maximum enjoyment. I could sit down and have three or four of these tasty treats in one sitting. 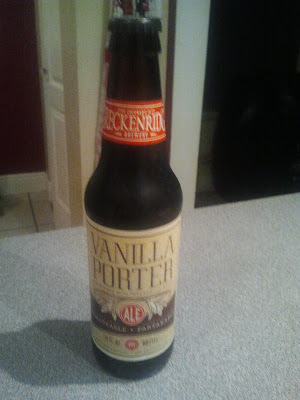 Seriously, this beer is like candy in my household. We only buy about one of these six-packs a month, but we tear right on through it when we do. Why do we drink it so quickly? Because it's smooth and easy to drink, while still being a dark and delicious beer. The beer pours a dark and thick brown, with a thin but definitely noticeable head. The scent is slightly toasty with a sweet smell I can only identify as similar to jelly beans, which I can only assume comes from the vanilla. Taking a sip, the beer has the standard malty and slightly bitter characteristics of a good porter, yet finishes lightly with vanilla that lingers more in my nose than on my tongue. As I make my way farther into the beer, the sweetness does build up slightly, but never threatens to overwhelm my senses and does little to hinder my enjoyment of this well-made porter. While this isn't the beer to end all beers, this is absolutely one of my favorites for casual drinking. If I'm going to buy a six-pack rather than a single bottle, this is easily within the top five beers I'll purchase. Pair this beer with any album that you'd consider a classic. It may not be something you listen to every day, but if it's reliable and brings a smile to your face, then it works well with this beer. Drinking this beer is like meeting up with a great old friend: it's always enjoyable and pleasant, no matter how long it's been since the last time you've crossed paths. Great post. My fiance and I were just looking at a few breckenridge vacation home rentals the other day. We really need a vacation. I would love to try the Breckenridge Vanilla Porter. I will have to send this to my fiance, thanks so much for sharing.